The Ultimate Fighting Championship (UFC) has released a statement on tonight’s (Feb. 9) main event change. UFC 234 was set to be headlined by a middleweight title bout between champion Robert Whittaker and Kelvin Gastelum. Those plans went awry when Whittaker was forced off the card due to a hernia in his abdomen. The original co-main event between Anderson Silva and Israel Adesanya has been moved to the headlining spot. 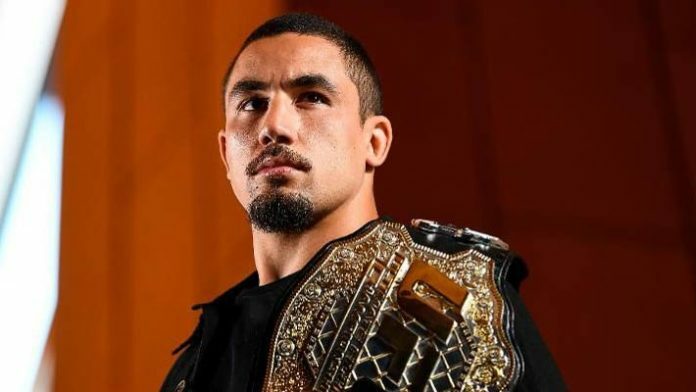 “Due to a severe abdominal injury requiring emergency surgery, UFC middleweight champion Robert Whittaker has been forced to withdraw from his UFC 234 main event against Kelvin Gastelum. The new main event, which airs live on Pay-Per-View, will be a three-round middleweight bout between Anderson Silva and Israel Adesanya. Making his debut in Australia, former longtime middleweight champion Silva will attempt to move one step closer to regaining his crown when he tackles dynamic striker Adesanya, the UFC’s breakout star of 2018, in a bout with title implications. Elevated to the co-main is the lightweight matchup between Albuquerque action hero Lando Vannata and surging Brazilian Marcos Mariano. Do you expect a large number of fans to ask for refunds, or will those set to be in attendance show up to support Israel Adesanya and other home country favorites?